I guess because I run, my sister and daughter, have made me the fitness expert. I am telling you and them, I AM NO EXPERT IN ANYTHING. But I can read what others write and try it out and tell you how it works for me! I believe I have developed a evil sweet tooth. It calls my name and won't shut up! So, until I have this vile tooth pulled, (wish it were that easy) I have been trying to satisfy it as healthy as possible. This is a site I found called Fit Body Now. They have some good tips on eating out, snacks, staying positive and DESSERTS! I think I will go enjoy one now! 7 Healthy Desserts That Will Satisfy Your Cravings. I love dessert. After dinner, I’m guilty of looking in my freezer for ice cream or for anything sweet. This isn’t good. Especially if you are trying to lose weight and get your dream body. I have found some healthy alternatives that will satisfy your sweet tooth. These desserts seem to work for me… and they don’t ruin my eating healthy plan! 1. Popsicles. Popsicles are great because they can me made by you, for you. You decide what they are made out of. And they are very easy to make. My favorite is pouring orange juice into a plastic cup and sticking it in the freezer. So good and healthy! But you can blend strawberries, blueberries, pineapple, or anything! Get creative. Try new flavors. Also, if you are all out of popsicle sticks just make an italian ice. Then eat it with a spoon once it’s frozen. It’s the same thing just not on a stick. If you don’t want to make them just go to the supermarket. 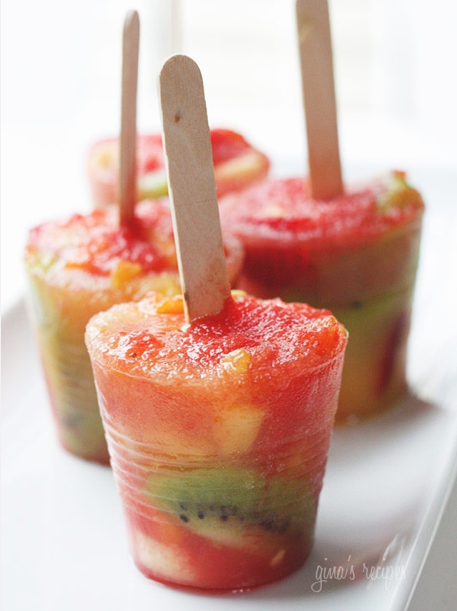 Healthy popsicles are almost everywhere. If you want chocolate, go for a fudgsicle. One fudgsicle only has about 60 calories. 60 calories won’t set you back. the nutritional value isn’t much but if you have a chocolate craving this is one that won’t make you guilty. Heres the recipe of the popsicles in the picture! 2. Pudding. It will really help satisfy that chocolate craving. In one serving of sugar free Jell-O pudding there’s only 60 calories. Also, try freezing pudding to make a delicious popsicle. I enjoy eating my pudding with pretzels. If you dip the pretzel in the pudding, it’s basically like eating chocolate covered pretzels. Love it. 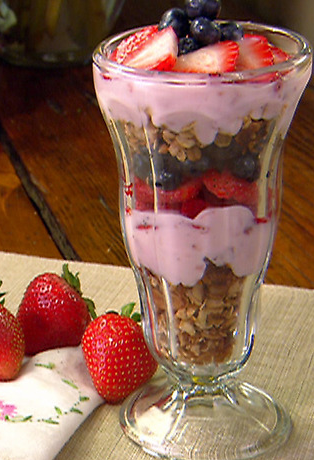 Parfaits are sweet, delicious and healthy! 3. Parfaits. Once again, these can be made with the ingredients you love. You pick the yogurt, fruit, granola, or anything else you would like to go in it. Parfaits are very filling and nutritious. I like to get my favorite flavor of fat-free yogurt with strawberries, blueberries, and cereal (like Cheerios or Special K) for the granola. Then, I make some layers of those ingredients in a cup and eat it all up. So good. And healthy for you! 4. Jello. Jello is very low in calories. It doesn’t have much nutritional value but it has that sugar boost you are looking for. Jello is definitely a late night snack that won’t ruin your healthy diet. 5. Mousse. Chocolate, raspberry, blueberry, strawberry or any other type of mousse is sure to hit that craving. It’s so light and fluffy. It will be just what you need to fill up your stomach before bed. 6. Sorbet. If you are like me and love ice cream, sorbet is not far from the taste you love. There are so many different flavors, even chocolate. All 150 calories or less. 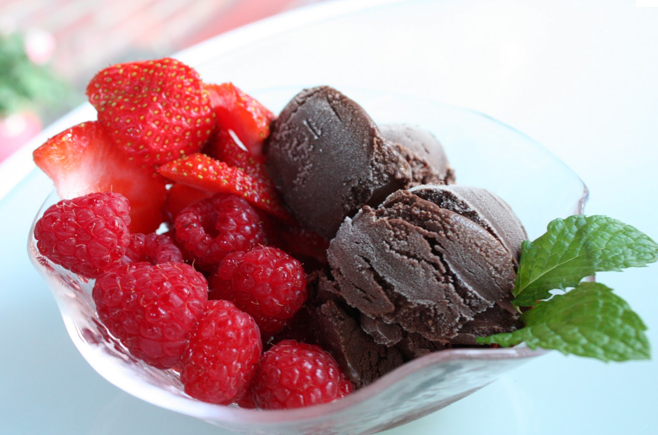 Chocolate sorbet is a great alternative to ice cream. Have a cup or sorbet instead of having a cup of ice cream. You will be saving many calories. And I am a chocolate lover so it’s nice to know I can still have something. 7. Angel Food Cake. This cake is so good. If you have never tried it, I suggest you do. And you will be happy to know that it’s low in calories, probably less then 150 depending on the size of your slice. 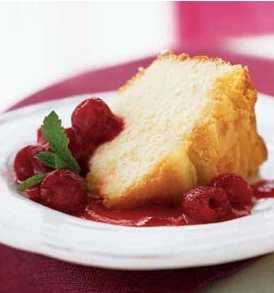 Angel food cake is delicious and very light. It won’t weigh you down. You may love a low calorie dessert that I didn’t include in this list and that’s fine. But these are some of my favorites. I just thought of Chocolate Covered Frozen Bananas! Those are also a good choice! You may like a few of these ideas but a few is all you need. You shouldn’t have to give up dessert. You only live once so don’t give up completely on foods you love. As long as they are eaten in moderation they won’t hurt you. I hope some of these will help you on your way to achieving your goal. Also, I hope I didn’t stir up any cravings but if you get one… remember to be smart about it. I think that sounds so fun! and maybe we can sign up for one together!